You can play music simultaneously on all of your speakers in your home with Chromecast Audio multi-room group playback. This guide shows you how to use Chromecast Audio multi-room group playback and how to correct group play delay if the music playing is out-of-sync. What is Chromecast Audio multi-room group playback? If you have two or more Chromecast Audio devices, you can let them play exactly same music simultaneously. This Chromecast Audio feature is named as multi-room group playback (multi-room support). Chromecast Audio multi-room group playback was announced when Chromecast Audio was announced. About 2 months later, in December 2015, this feature was released through a firmware update (and Chromecast app update). Essentially, Chromecast Audio multi-room group playback allows you to play music on all of your Chromecast Audio devices in the same WiFi network. Currently, Chromecast Audio multi-room group playback feature is available for Chromecast Audio only. You cannot add a Chromecast device to the group. You may read this page on differences between Chromecast and Chromecast Audio. Two or more Chromecast Audio devices. Chromecast is NOT supported. Chromecast Audio devices are connected to the same WiFi network. Latest Chromecast App on your mobile device. Latest firmware for Chromecast Audio. Chromecast Audio will always update itself automatically. If you didn’t root your Chromecast Audio and blocked the update, you should not worry about this. 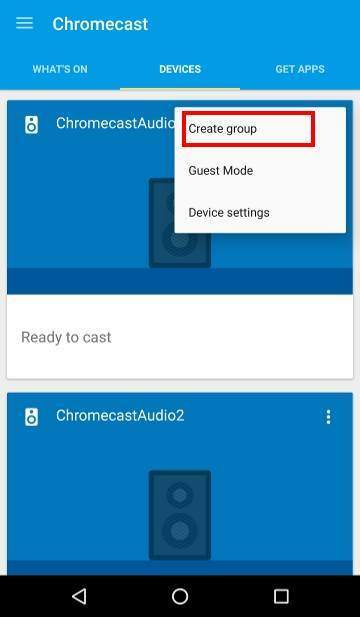 To use Chromecast Audio multi-room group playback, you may follow these steps. 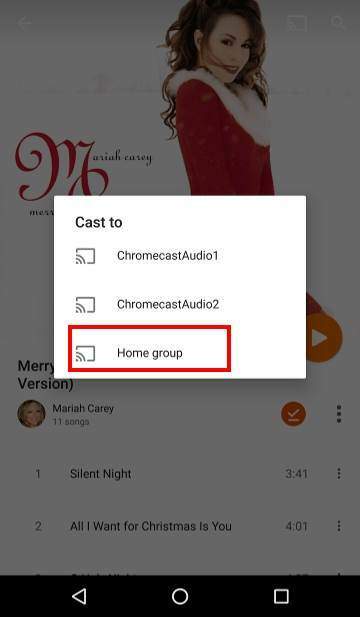 Chromecast Audio multi-room group playback actually groups your Chromecast audio devices, then use them as one device (group). 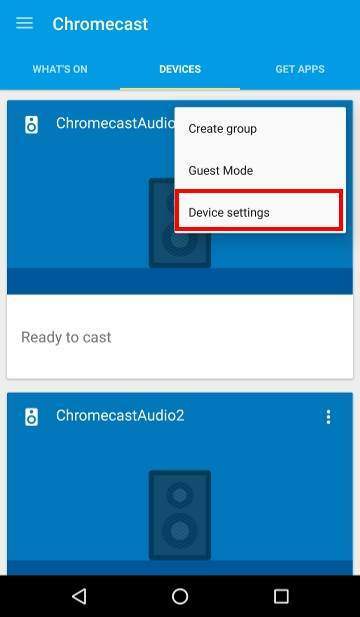 In your mobile device, start Chromecast app, go to the Devices tab as shown below. Tap menu icon (3 vertical dots as shown below). 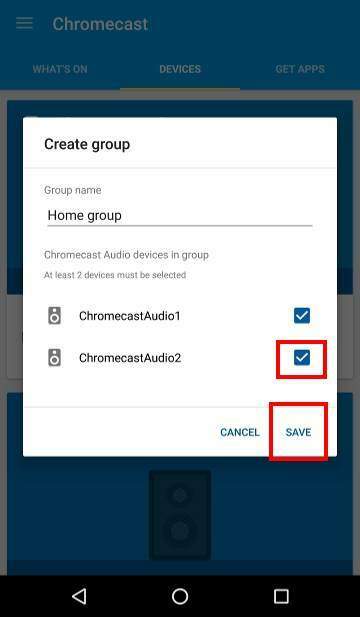 If there are two or more Chromecast Audio devices detected in the same network, Create group option will be shown. If you cannot find the create group option, it usually means there are no other Chromecast Audio devices detected. You can check the list and power on the corresponding Chromecast Audio device. Tap Create group as shown below. By default, it is named as Home group. You can tap the name field (Home group) to rename the group if you want. 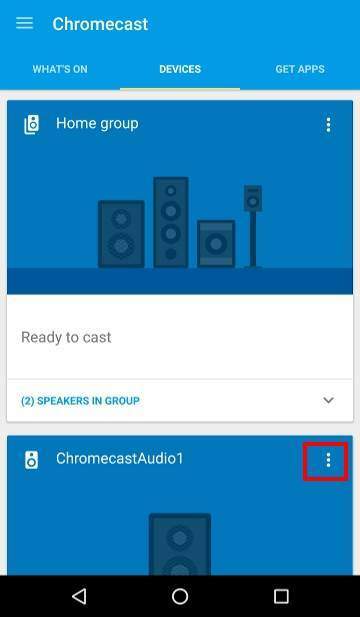 You need select other Chromecast Audio devices to join the group so that it will be used in Chromecast Audio multi-room group playback. In the example below, I need select Chromecast Audio2. Then tap Save button to create the group. Once a group is created, you can find it in devices tab in Chromecast App as shown below. The group will be shown as long as at least one of the Chromecast Audio devices is detected. To cast to Chromecast Audio group is similar to that casting to single Chromecast Audio device. 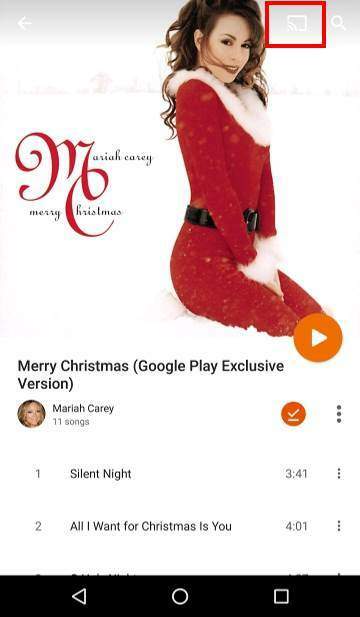 For example, in Google Play Music app, tap casting icon as shown below. Tap Home group to use Chromecast Audio multi-room group playback. 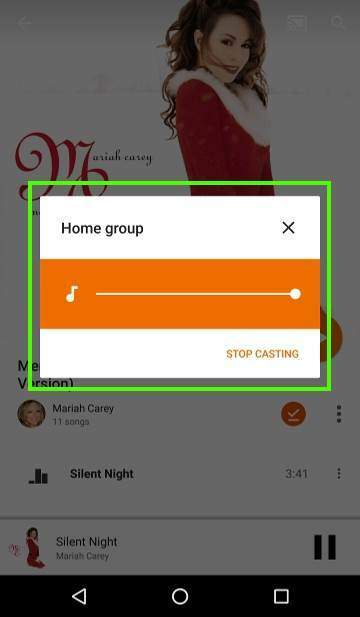 Once the music is playing, you can always tap the casting icon to check whether it is cast to the group correctly as shown below. You can also control the Chromecast Audio multi-room group playback in Chromecast app as shown below. In the devices tab, you can notice the the group playback is active now. 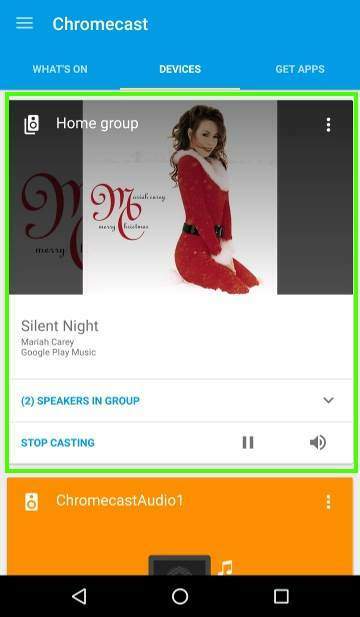 You can tap can control group playback (including stop casting) just like using a single Chromecast Audio device. 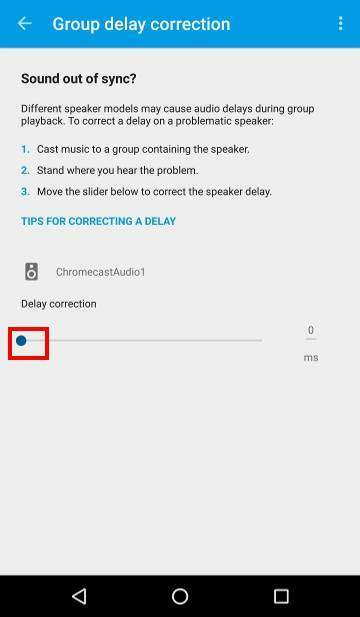 How to correct group play delay problems when using Chromecast Audio multi-room group playback? Chromecast Audio multi-room group playback usually works flawlessly on most speakers. But some speaker may have slightly slower response time and therefore the music on that speaker may be slightly delayed. If this happens to your Chromecast Audio group play, you may adjust the speaker which is slower than the others. In other words, adjust the slowest one, not the fastest one. You only adjust group delay correction only if the group play is out-of-sync. Don’t use this to solve any other issues. It won’t. 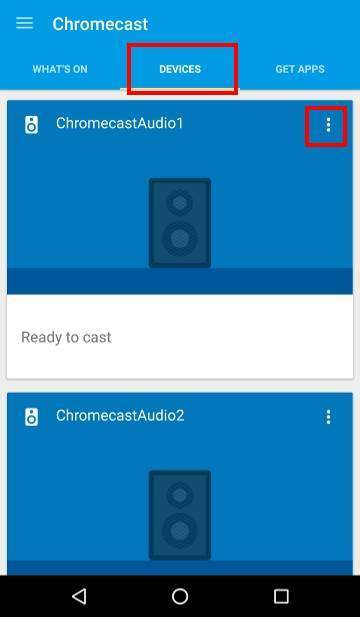 To correct group delay in Chromecast Audio multi-room group playback, you need go to the Devices tab in Chromecast App. Tap the menu key (3 vertical dots) of the corresponding speaker. Tap Device settings as shown below. Tap Group delay correction as shown below. Then gradually drag the slider bar and hear the music playing until the group playback is in-sync. Can you use Chromecast Audio multi-room group playback? Do you have any questions on Chromecast Audio multi-room group playback? If you have any comments or questions on using Chromecast Audio multi-room group playback, please let us know in the comment box below. I want to know: Suppose you have a group with 3 speakers with chromecast build it. Suppose only 2 of them are turned on. You start to cast to the group and I assume you get the sound in the two turned on speakers (right?) What then happens when you turn on speaker 3. Will it just start to play? No, you need to restart the casting. When the device is not detected, it will not be included in that session. The reverse is also true: if you are casting to a group, and remove power from one of the devices in the group, casting stops on all devices. You can select to cast to a group or to individual device. You cannot make changes when casting is ongoing. You have to stop current casting, then start again. Google never states any limitations on the number of groups you can create, and the maximum number of speakers (Chromecast Audio) in one group. We only tested a group with 4 speakers. And it works perfectly. If you add too many Chromecast Audio devices to one group, you may encounter sync issues for these Chromecast Audio devices. But we do not know the limit. Google probably set this number quite high in the software. Please remember Chromecast Audio was designed as personal or home device. The limits may be high enough for most homes. Anyway, did you encounter any issues with group playback? thanks Simon for your quick reply, actually i asked coz i have a set of 16 speakers and i want to connect and control them separately and also as one group, so i was thinking of chromecast audio, but wasnt sure if it can handle up to 16 speakers … i didnt find the answer on chromecast support page so i asked here before i order all of those chromecast dongles…what do you think ? or is there any other way to control those 16 speakers ? Not sure. But you can ask the question in Google store (in Google store help, there is a link for support). 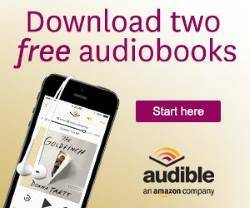 They may give you a definite answer. i have already posted in their chromecast help forum as i didnt find any other way to contact support team than twitter or this forum, but they look like not active there..thanks anyway for your reply ! Not Chromecast help forum. You can useGoogle store help page. i have one hifi system setup and working on chromecast, and I am trying to get my portable bluetooth speaker to do the same. it is connected to a chromecast audio unit, and has passed the “i heard it” step but cant connect to the wifi. is it weird that one system can connect, but the second instance of chromecast audio cant? What is the error message? You can always try again. You can also reset the Chromecast Audio. Anyway, it is unlikely caused by the speaker. It is usually due to the Chromecast unit or the Google home app. 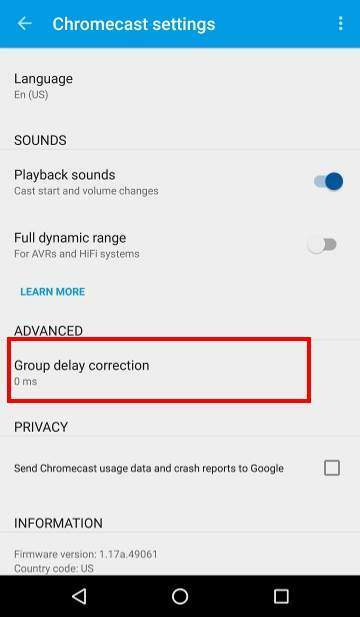 is there any way to adjust the “group delay correction” on a “Google Home Mini” ? I currently have a group of 3 speakers: 1. Sony Surround HT800 (chromecast built-in) + 2x GH Mini’s. They all work simultaneously, but the HG Mini’s need some delay correction, but that option isn’t visible in the device settings. The group delay correction is not available in Google Home devices. It is only available for Chromecast Audio. Big thx for the reply !! The delay is usually caused by external speakers. Google Home, Home Mini and Home Max all use own internal speakers. This is the reason why the delay correction is not needed for Google Home devices. Hi! Can VLC 3 render to a chromecast audio group? Yes, all Chromecast supported apps can cast to the group. For these apps, the group is just like another available device.